It is widely reported that Halloween owes its origins to an ancient Iron Age pagan festival called Sanheim. Sanheim marked the end of summer and kicked-off the Celtic new year, symbolising a time of both death and rebirth, with the end of the harvest season and the beginning of winter. Later, in the mid-eighth century, Pope Gregory III moved the Catholic Church’s All Saints’ Day, a festival to honour Christian saints and martyrs, to November 1. With All Saints’ Day, also known as ‘All-hallows’, October 31, became known as All-hallows’ Eve eventually evolving into Halloween. Today, Halloween has become a huge day in the retail pr calendar. New research from Mintel forecasts that Brits will spend a fang-tastic £419 million on Halloween this year, up by 5% from the £400 million spent in 2017. Last year, fifty-two per cent of all Brits splashed out on Halloween, with this figure rising to 85% for parents of under-fives. The research also revealed that the generation most engaged with Halloween was Young Millennials, 77% of whom splashed out on the Halloween extravaganza in 2017. A quarter of Halloween purchasers spent between £10-£25 for Halloween last year, while around the same number (24%) spent £10 or less, with 17% spending between £26-£50. With this background, it is perhaps no wonder that grocery shelves are bursting at the seams with Halloween products. It is no longer enough to purely put a ghoul, witch or pumpkin on the packaging of an existing product and call it a Halloween special. This year, brands and retailers have embraced the sales opportunity and launched a plethora of new products specifically for this growing occasion. A particular favourite is ASDA’s Monster Meltdown Pizza. And, this year, the humble pumpkin, has become much much more than just a spooky candle holder. Pumpkin pie has long been a seasonal favourite in the US and this year, it has been introduced into a host of products in the UK including Tesco’s Gingerbread Pumpkin Biscuits, Bailey’s Pumpkin Spiced and Waitrose’s Pumpkin and Pine Nut Fiorelli. 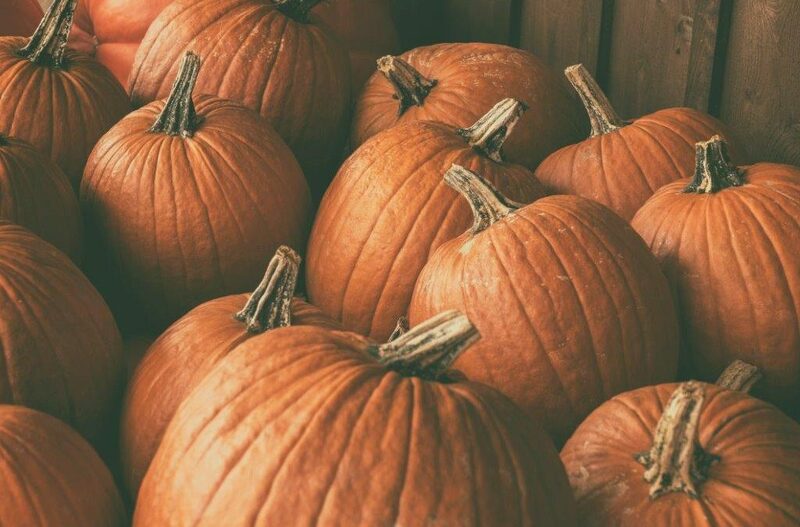 The growing recognition of the pumpkin as a fabulous food ingredient will come as good news to the #PumpkinRescue campaign which aims to encourage people to eat the pumpkin rather than just carve it and throw away. And Mintel reveals that while traditionally a season for orange and black, today’s environmentally friendly Brits are keen to stay green, as some 75% of Halloween spenders say they would reuse Halloween costumes/decorations. There is no doubt that the celebration of Halloween is here to stay but just how spooktacular can it become – only time will tell. Our consumer lifestyle PR team specialise in connecting everyday brands with everyday people across four core sectors; Consumer Lifestyle PR, Food & Drink PR, Retail PR and Sport, Health & Wellbeing PR. More information on these areas of knowledge can be found at www.escapadepr.com/about-us.